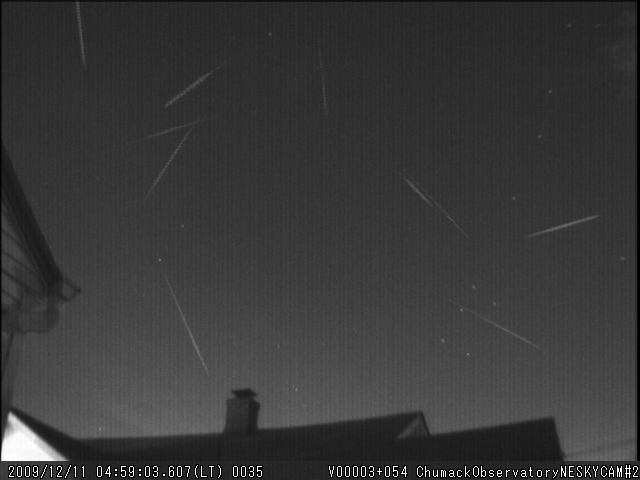 It is still 5 days before the Geminids peak but I was seeing meteors so I set up the camera and got 2. 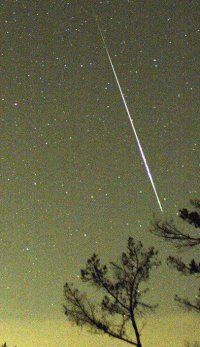 If you follow their trails up you get the illusion that they radiate from Castor and Pollux in Gemini, making me think they are Geminids. The one on the right came down first, then 10 minutes later the one on the left. I flipped them to show how they seem to radiate from one point. Pentax K7 with Takumar 1:1.4/50 for 8 seconds at ISO 1600 pointing SE in the Santa Cruz Mountains. Gimp auto white balance and diptych editing. 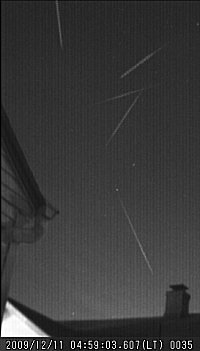 Using an all-sky camera at the Marshall Space Flight Center in Huntsville, Alabama, astronomer Bill Cooke recorded a bright Geminid streaking past the Moon. 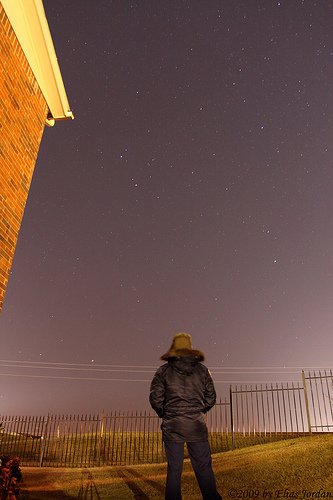 Last night I finally got some clear skies, and just in time for some early Geminids Observing! I went out with a comfortable chair, a nice warm blanket (since it was 3deg F) and a pair of binoculars. 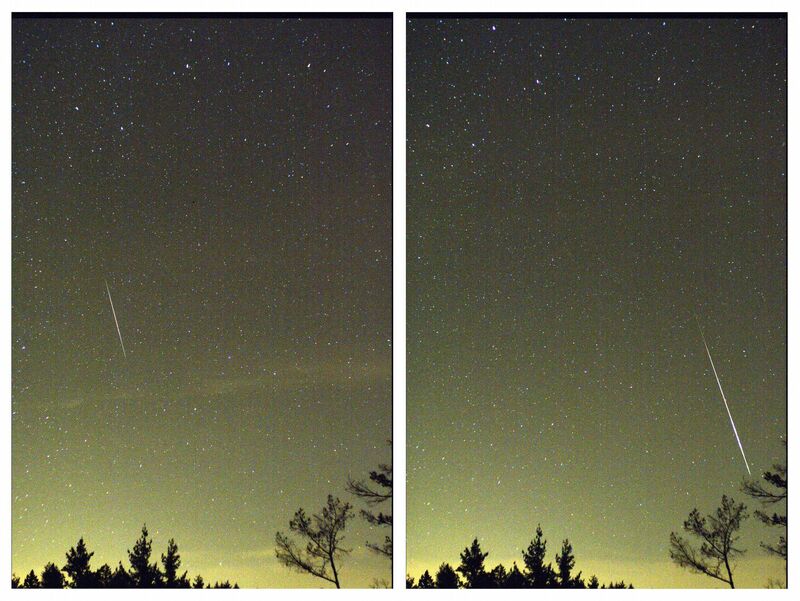 After about 15min of observing and seeing already 4 meteors I decided it was about time I got my camera out! So thats what I did, once out I took a few expos of Gemini then decided I should hit the sack early! 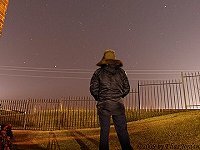 Thus I took this image of myself portrayed in front of the light polluted sky with Gemini being the center subject.